We are back home safe and sound. It was a terrific weekend. I was really impressed by the pine forest we camped in. It was beautiful. The wind in the the tree tops created a gentle whisper. The whole weekend was a very satisfying experience. Sharon just said it was, “Wonderful!”. 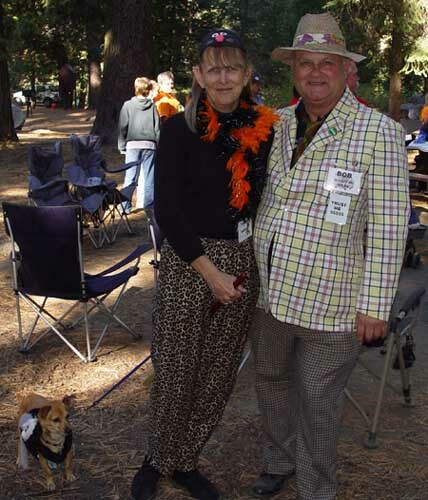 The people were wonderful and a number of then had costumes on Saturday night. We dressed up a little and had some fun. As we arrived home last night, George pulled in also. Have you ever been to The Tioga Team website and blog? If not your really need to check out "The Adventures Of Tioga And George". 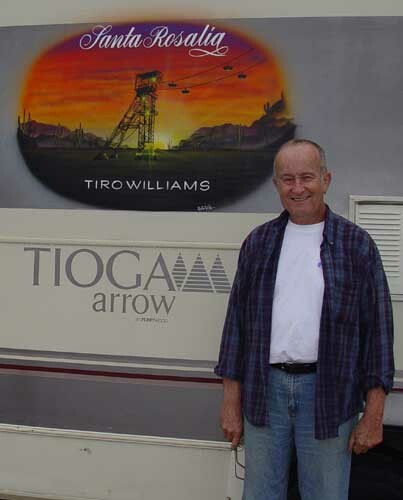 We had a great talk with George inside Ms. Tioga (his Tioga Motorhome). This morning George treated us to breakfast at our the corner restaurant. After breakfast Ms. Tioga took us over to our harbor for more talk. 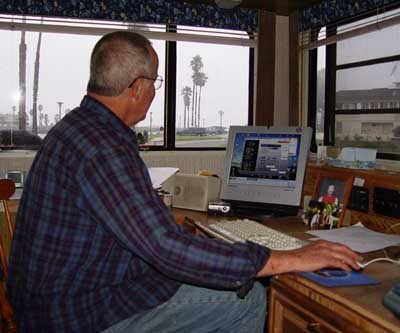 I am envious of George’s spacious computer work station. He has a great place for his computer and work space. George has a beautiful view on three sides of his “office”. Great picture windows that often overlook fantastic views of mountains, streams, forests or the ocean.